Spence Ranch Feed & Supply Store is your complete source in Calaveras County for all your large and small animal needs. 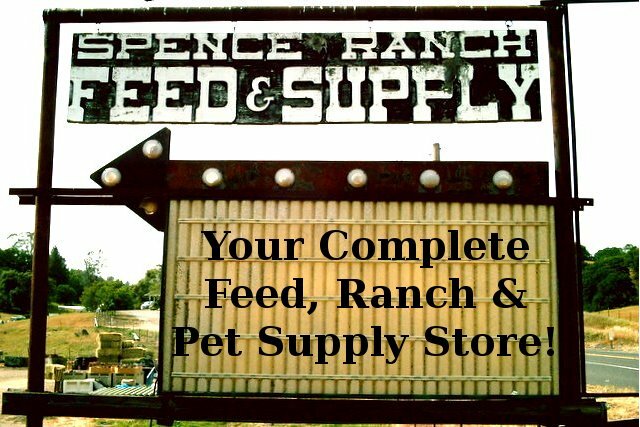 In addition to a complete line of supplies for your ranch Spence also has the most comprehensive selection of feed and pet supplies. This Week at the Arnold CHS Thrift Store Adoption Center – SCOOTER! Black Cat-A-Thon Ends September 30th! Puppies, Dogs, Cats, Kittens! Come to our Adopt a Pet, Sat.